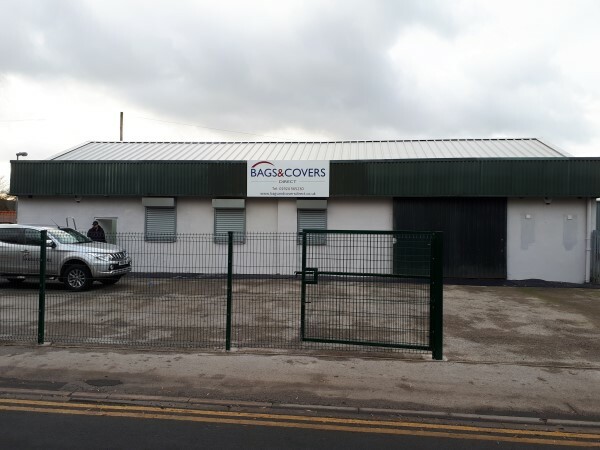 Here at Fabrics 2 Cover we have a selection of quality waterproof outdoor fabrics and fittings ideal for outdoor clothing, tents, covers, bags, boating, repairs etc. We have a variant of light duty and heavy duty fabric available. 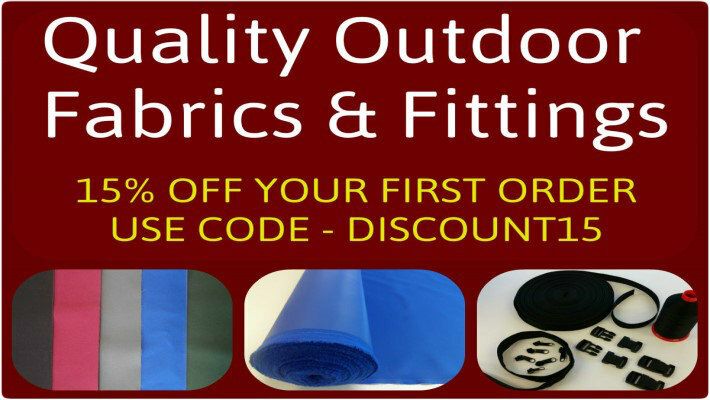 All our fabric is available by the metre and discounts are given to bulk purchases. 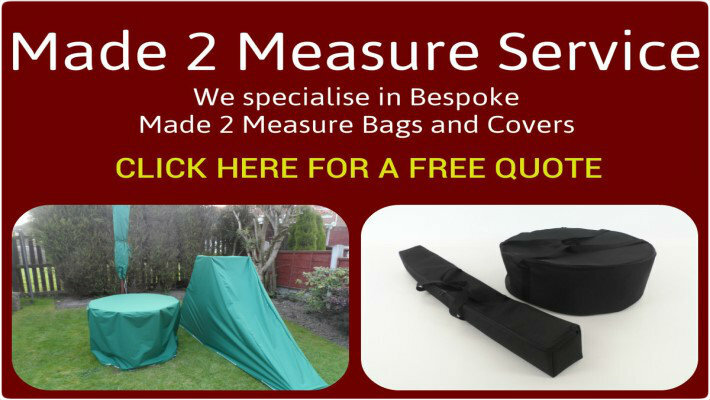 We also specialise in bespoke made to measure bags and covers which can be quoted free through our contact page. We can make to measure for all types of industries from 1 to 1000’s of bags. If you require any further information or you cannot find the item you are looking for then please get in touch. Everyone at Fabrics 2 Cover would like to thank all our customers old and new for their custom and continued support, and wish you a very Merry Christmas and a Happy New Year. As of the 2nd of January, we will be at our new premises at the address below and this is where you should come for any collections of orders or enquiries. This is strong quality 16mm sew on hook and loop velcro sold by the metre. This is a quality strong Polypropylene 38mm webbing sold by the metre. 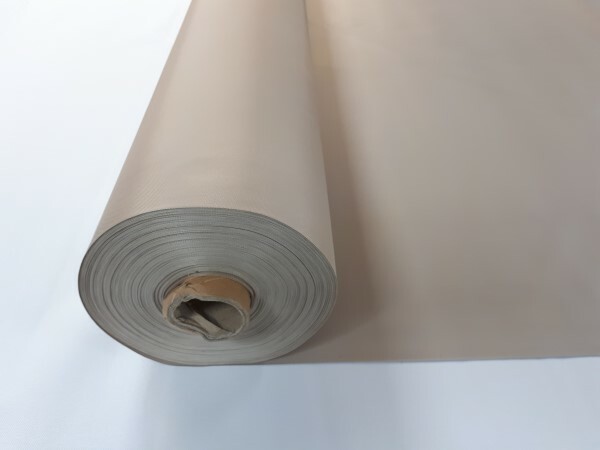 This is a strong durable waterproof clear PVC plastic 0.35mm sheeting fabric sold by the metre. The roll width is approximately 1.38cm/54"m wide so each metre you order you receive 1m x 1.38m. This is our green light duty waterproof 4oz PU coated polyester fabric sold by the metre. The roll width is approximately 1.5m wide so each metre you order you receive 1m x 1.5m. This is our strong grey outdoor waterproof 500 denier UV stabilised and flame retardant polyester fabric sold by the metre. The roll width is approximately 1.5m wide so each metre you order you receive 1m x 1.5m. This is our burgundy heavy duty waterproof 600 denier polyester canvas material sold by the metre. The roll width is approximately 1.5m wide so each metre you order you receive 1m x 1.5m. This is a strong durable bonded nylon sewing thread which is rot proof and is resistant to mildew, chemicals wear and abrasion. This 60's bonded thread comes on a large 5000m spool. © 2015 Bags and Covers Direct, all rights reserved. Errors and omissions excepted.